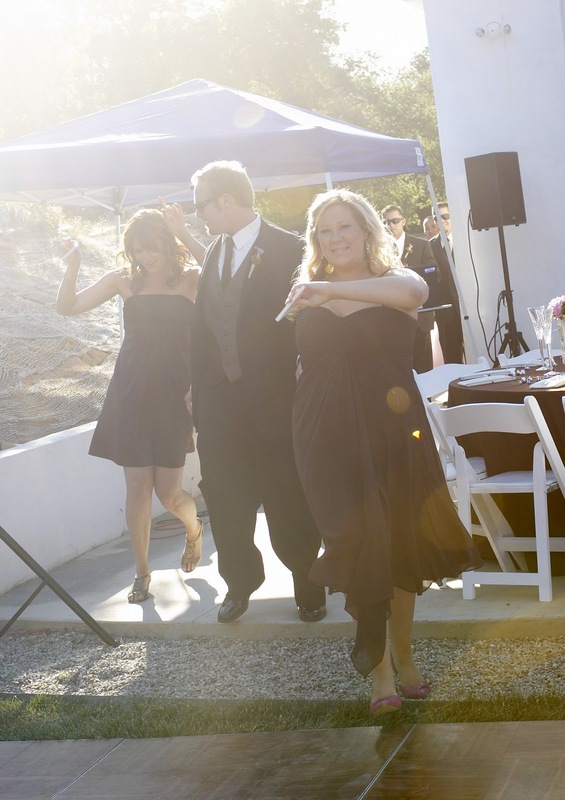 Weddingbee has a new series called The Randomizer. 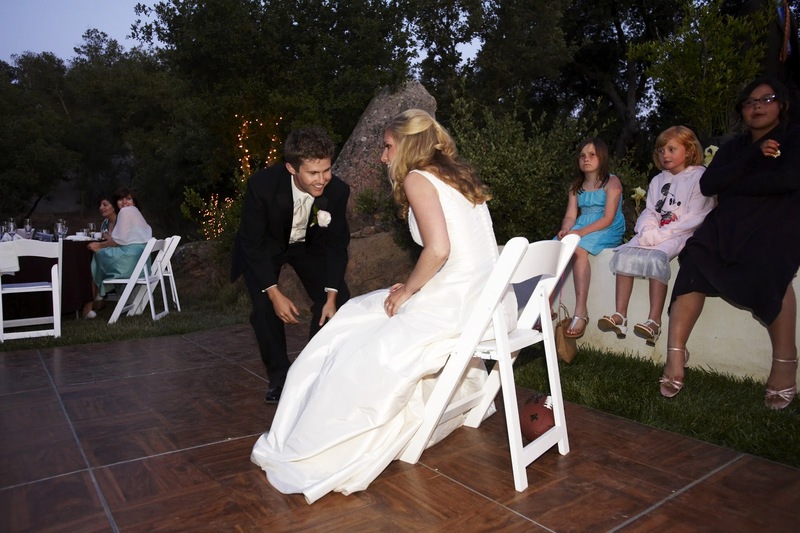 All you do is use random.org to select 10 pictures from your wedding and blog about them. It’s a nice way to bring back memories of the day and highlight some photos that might not be displayed in your home or in your album. Here are my 10 random pictures! One of my favorites! This one is actually hanging up in our bathroom. I did all my own flowers (with help from Angie, Melissa, my mom, and who else?) and I LOVE peonies. This was my bouquet and it was so fluffy and pretty I wanted to take a big bite out of it. 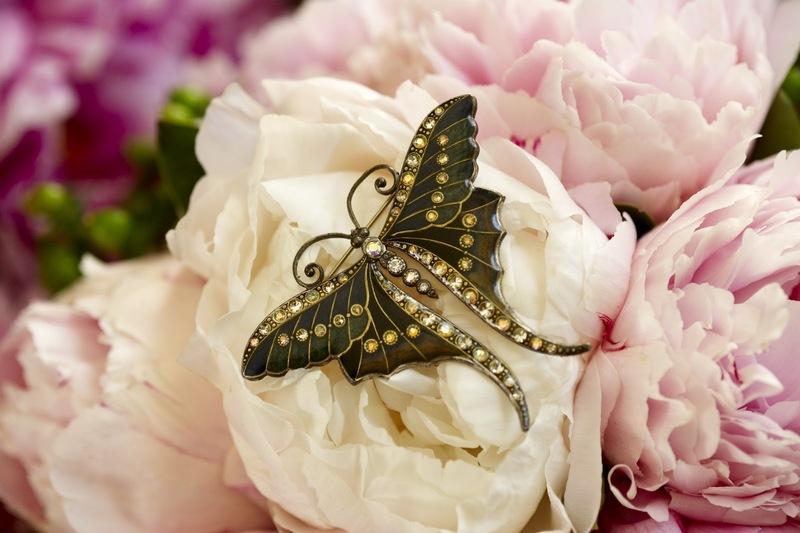 The butterfly is a pin that was my grandmother’s. It was my “something borrowed” because I borrowed it from my mom. My grandmother and I were very close – I actually always thought I’d walk down the aisle with her on one side and my mom on the other, but she died a few years before our wedding – and we scattered her ashes at a monarch butterfly park that she loved to visit. We were very lucky that we had two photographers – a husband and wife team. The husband went with the groom and his friends golfing and the wife hung out with me. This is one of the groomsmen smoking a cigar on the golf course. So serious! 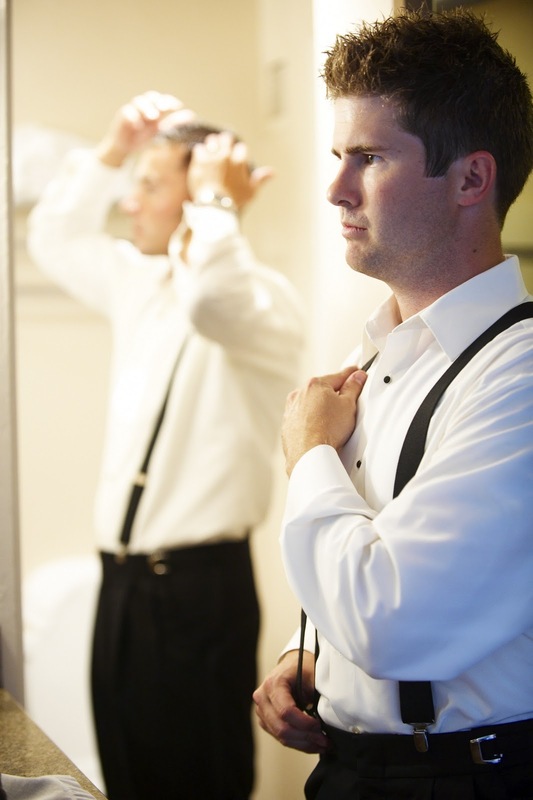 The groom getting ready. Think he was nervous? What a cool shot! See my face in the mirror inside a mirror? 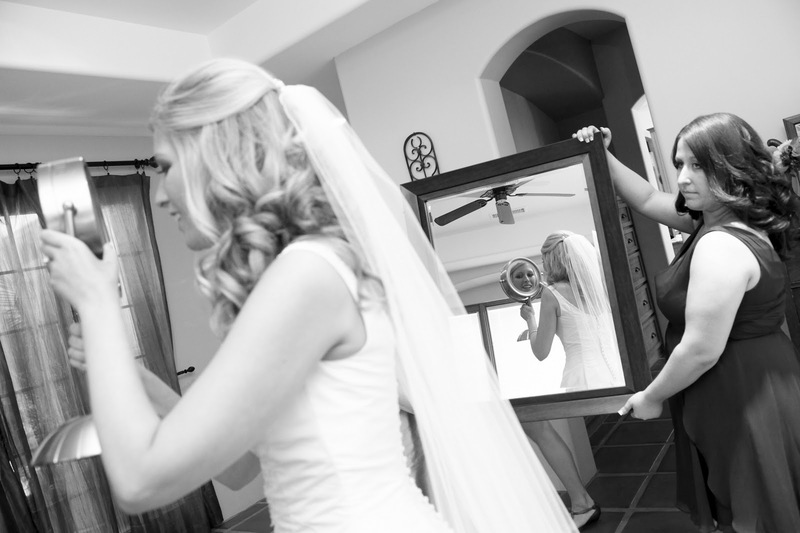 My maid of honor, Angie, was doing her mirror holding duty. Happy bride, bridesmaids, and flower girl. The photographers would tell us to laugh and while it felt strange at the time, it always made for cute photos. 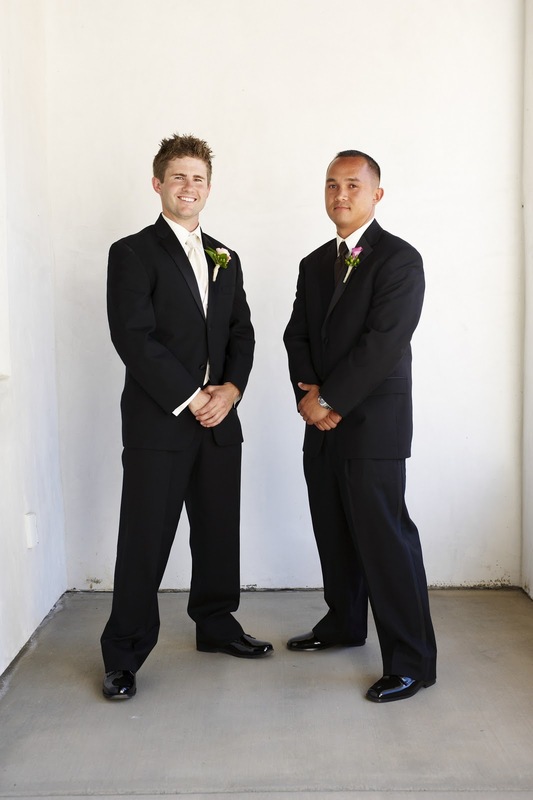 The groom and best man looking very official. Aww, Michelle looks like she’s having so much fun! One of the groomsmen couldn’t make it to the wedding, so this lucky guy got two girls to walk in with. One thing really bothers me about this photo: that hideous blue tent thingy that the DJ brought. I remember my friend, who came early to help setup, telling my mom about it while we were getting ready. There was nothing we could do at the time, but I wish we had known she was bringing it because I would have rented a white one so we didn’t have that ugly blue thing in our photos. 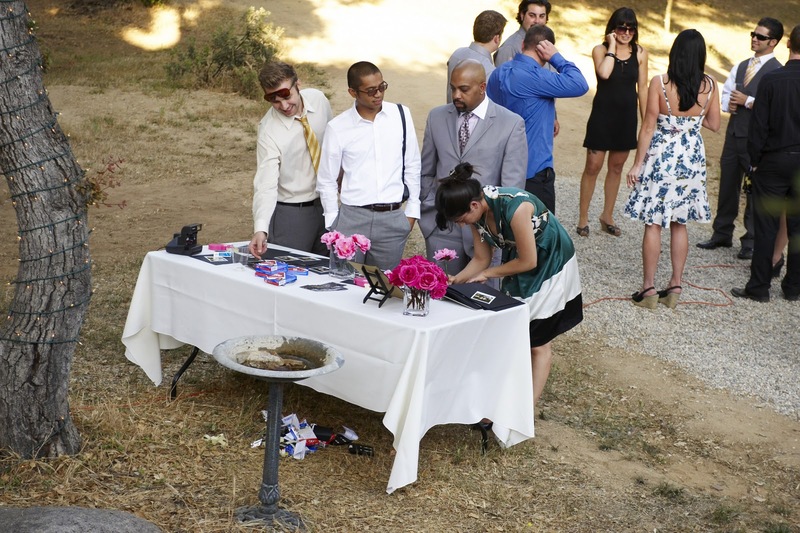 Instead of a traditional guestbook, we used a Kolo photo album and had a couple of polaroid cameras out for people to take their pictures and write a message. See the film trash under the table? Oh, and I made flower pens because I’m crazy. 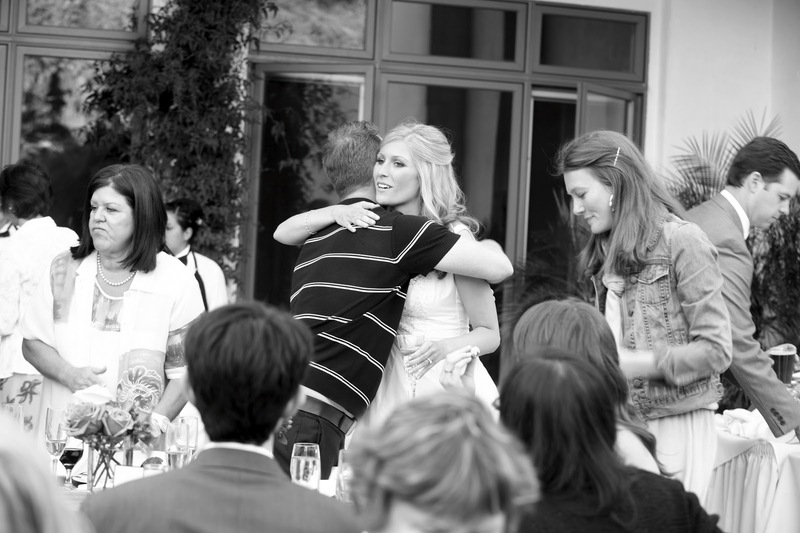 Hugging Jake, my good friend Jessica’s husband. We got engaged the day they got married and they just had a baby last week! I think I have more pictures of them than anyone else at the wedding which shows how much fun they are. Getting ready to get the garter! I remember telling my husband he wasn’t allowed to do that whole head-under-the-dress thing, but once everyone started yelling at him to do it, I gave him the ok. I also didn’t want any cake smashing, but we did that, too. And it was fun. And made for great photos. We will celebrate our third wedding anniversary this May and we’ll have a little one to share it with. What great memories! Thank you! I’m thinking of having that first one enlarged because the print we have of it hanging in the bathroom now is tiny. We loved your wedding!!! Def brings back lots of good times and memories for us too. I can’t believe it’s been so long since that day too! You did such an amazon job making it a day even your guests won’t forget!!! Love the pictures! I did have a good time, minus the ability to drink. But it’s neat to think Carter was there with us!